I'm not sure where this first originated. I saw it on Craftzine, which has links to two other sites, but it's not clear that either of them were the original authors either. 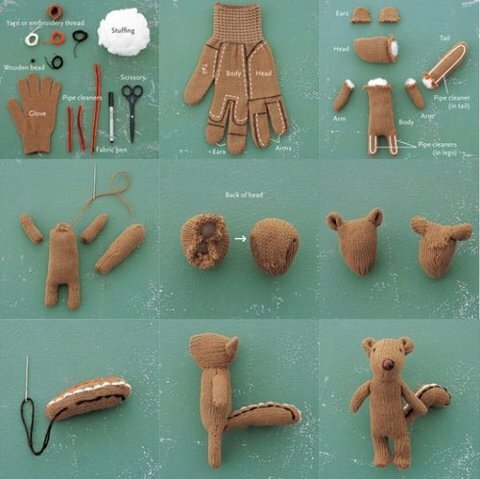 Anyway, it's an adorable way to give new life to a mate-less glove, which translates into practically all of mine! If you know who the author is, please leave me a comment and I'll give the proper credits here. Now, rather than go searching for the missing mates, I have to go looking for the the single gloves I stashed away for "whenever the mates turned up". lol.